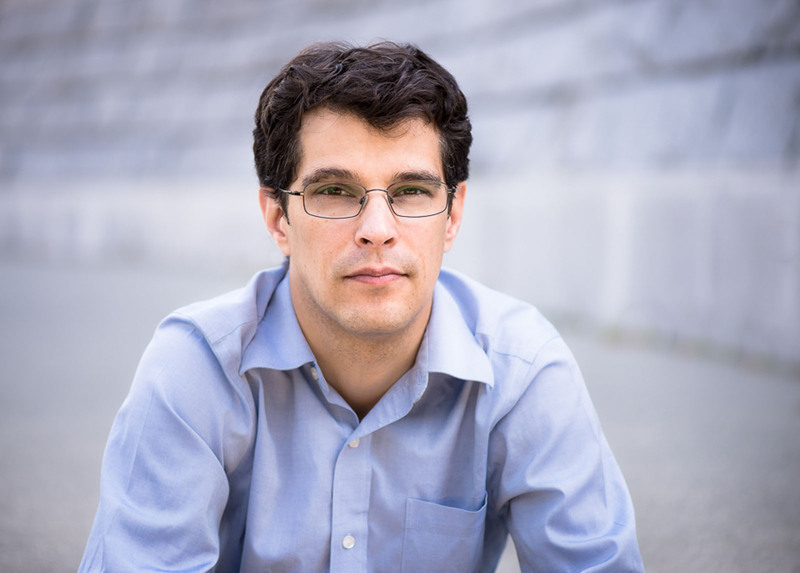 Steven Galloway has issued a statement through his lawyer on his suspension and subsequent firing from his position as chair of UBC’s creative writing program, speaking on the issue for the first time. The statement also criticizes the university’s communication of his case to the public. In June 2016, Galloway was fired from UBC after an “irreparable breach of trust.” He was first suspended from the university in November of 2015 after UBC received serious allegations of misconduct against him, after which more complaints were received as well. In December, an investigation was initiated, headed by the Honourable Mary Ellen Boyd, a former justice of the BC Supreme Court. In the statement, Galloway’s lawyer, Brent Olthuis, noted that Galloway was cleared of the one complaint of a sexual nature that was made against him. “After an exhaustive review of the whole of the evidence, Ms. Boyd found on a balance of probabilities that Mr. Galloway had not committed sexual assault,” said the statement. The sole complaint substantiated against Galloway, according to the statement, was that he engaged in inappropriate behaviour by having a two-year affair with a student during his professorship at UBC. They were both married at the time. Professors and students are permitted to date as long as the professor discloses the relationship to the university, according to current conflict-of-interest policies at UBC. The professor must also ensure that someone else is evaluating the student’s work. Since faculty-student relationships are not a fireable offence, the reason that Galloway was terminated from UBC remains unclear. Citing confidentiality preservation and privacy law, UBC is unable to elaborate on why Galloway was fired. Galloway’s lawyer acts as legal counsel solely for the process surrounding his dismissal and related public statements made about him, not for the ongoing grievance from his dismissal, for which the UBC Faculty Association represents him. While the Faculty Association issued a statement in June criticizing the university’s “misleading public and private comments regarding Professor Galloway,” they have not commented since. “We write at this time because the Faculty Association has thus far declined to be interviewed or otherwise make public statements about Mr. Galloway’s termination by the University,” reads the statement. “We understand that this is in keeping with its standing practice to preserve and maintain the confidentiality and integrity in such cases for all involved. Faculty Association president Mark Mac Lean reiterated today that they will be making no public comments on the Galloway case. The letter addressed two core issues — the rights of complainants to be heard and investigated where appropriate, and the rights of persons accused to receive due process, including an unbiased investigation and impartial adjudication. The university has received substantial backlash from the public in the past few months, including several notables in the writing community, over its handling of the communication of this case. Concerns included the fact that Galloway had not been afforded his “right to due process,” which Canadian author Margaret Atwood said “failed both sides” of the allegations against Galloway. Galloway is also critical of the university’s handling of his investigation. “We have grave concerns with the investigative process followed by UBC, including but not limited to the manner in which UBC chose to communicate to the public,” reads Galloway’s lawyer’s statement. We act as legal counsel for Steven Galloway in respect of the process surrounding his dismissal by UBC and related public statements that have been, and that continue to be, made about him. We do not act for Mr Galloway in his ongoing grievance from the dismissal, where he is represented by the Faculty Association. We write at this time because the Faculty Association has thus far declined to be interviewed or otherwise make public statements about Mr Galloway’s termination by the University. We understand that this is in keeping with its standing practice to preserve and maintain the confidentiality and integrity in such cases for all involved. Mr Galloway shares the Faculty Association’s concerns and, out of respect for the process, has thus far avoided making public comment. At this stage, however, the harm flowing from UBC’s conduct has reached such a level that Mr Galloway has requested us to clarify the following issues on his behalf. This matter concerns two core issues: on one hand, the rights of complainants to have their complaints heard and, where appropriate, to have them investigated and remedied; and, on the other hand, the right of a person accused to receive due process, including an unbiased investigation and a fair and impartial adjudication. Both of these issues are fundamentally procedural. Justice is what flows from the adherence to just process. We have grave concerns with the investigative process followed by UBC, including but not limited to the manner in which UBC chose to communicate to the public. This is not the forum to enumerate those concerns. The purpose of this letter, rather, is to respond to the extensive media reports and comments on social media speculating on or making assertions concerning the basis on which UBC purported to terminate Mr Galloway. In December 2015, UBC engaged the Honourable Mary Ellen Boyd to investigate complaints against Mr Galloway, including – with respect to one complainant only – specific complaints of a sexual nature from 2011. Ms Boyd submitted her findings to the University and the Faculty Association on 25 April 2016. After an exhaustive review of the whole of the evidence, Ms Boyd found on a balance of probabilities that Mr Galloway had not committed sexual assault. Of the other allegations made against Mr Galloway, Ms Boyd found that one constituted a violation of UBC policy. The sole complaint substantiated was that Mr Galloway engaged in inappropriate behaviour with a student. Both the student and Mr Galloway were married at the time. The relationship developed into an affair that lasted approximately two years. This was the conclusion of Ms Boyd’s report. Mr Galloway profoundly regrets his conduct and wishes to apologize for the harm that it has caused. He does not seek to minimize it or to hide from it. He seeks fair treatment for all involved, and an end to the scurrilous assertions and accusations that have proliferated in the vacuum of information. On 22 June 2016, UBC terminated Mr Galloway’s employment. The Faculty Association had filed an initial grievance on 9 December 2015, following UBC’s public suspension of Mr Galloway, and a further 6 July 2016 filing incorporated the termination and the processes leading up to it. The grievance is advancing to arbitration. Mr Galloway’s position in that proceeding is not only that his termination was an unreasonable outcome, but also that the process preceding it was one to which no student, staff, or faculty member should again be subject. Whether UBC’s response to the allegations and findings was appropriate will be a central concern for the grievance arbitration. The matter continues to have tragic impacts for all persons involved. It provides a signal example of how specious rumours and speculation arise from innuendo and miscommunication. From Mr Galloway’s perspective, it provides an unfortunate illustration of the need for rigorous, fair and transparent procedures in matters of this nature.